We have been working with the owners of this Nursing Home for the past fifteen years and have been involved in many diverse projects such as the establishment of a twenty unit retirement village, remodelling of the existing home and a sixteen bedroom extension. 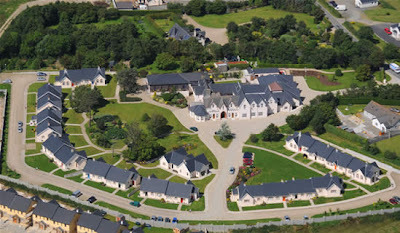 The retirement village has clusters of houses arrayed around an amenity building where residents can particiate in a wide variety of recreational activities. The design of the central unit allows for flexible usage options. The individual houses are designed for independant living for senior citizens without an institutional feeling. Within the Nursing Home itself - calm, warm interior finishes contribute to an overall atmosphere of quality and professionalism.